A good friend of mine, who I'll call "Harvey." 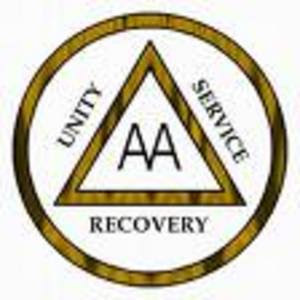 was fighting alcohol and drug addiction has recently reappeared from a very expensive six month recovery at an elite private hospital that used as a model Alcoholics Anonymous (AA) and the Twelve Step Program. What was the opinion of the program by my friend? He said, "AA is a cult! I swear to God that the old timers in AA are raving Jim Jones loony tunes! If I'd read, THE ORANGE PAPERS before I went into this AA rehab rip off, I'd saved a fortune!" I thought my friend's opinion was a little harsh because I had heard only good things about AA, so I decided to verify these negative claims on my own. This was easily accomplished, since AA meetings are to be found everywhere and at all times of the morning, noon, or night. Thus I found myself one Sunday morning attending a crowded AA meeting in Cocoa Beach, Florida at about 9 a.m. I was forced to sit near the front of the audience against the wall, and had a good view of the crowd and their reactions during the course of the hour long meeting. What did I see? The same sort of rapture on the faces of the audience that I could view in any number of churches up and down A1A this Sunday morning. This was especially true for the women who seemed to hang on to every word of the self confessions coming from the speakers, who were in contest with one another to tell how much they had degraded themselves while drinking, and how much they loved AA for saving them from a fate worse than death. After a seemingly endless period of time that lasted 50 minutes divided into three minutes of confession per attendee, we were asked to stand in a circle and say The Lord's Prayer. The meeting concluded with the audience shouting, "Keep coming back, it works if you work it." The woman I held hands with during the prayer asked if I was a newcomer and when I answered, "yes" put a copy of Bill Wilson's book, "Alcoholic Anonymous" into my hands. "We give all first time visitors a free copy of the Big Book. It tells you everything about recovery." I accepted and actually read about a hundred pages of awful prose by the author of the book and founder of Alcoholic Anonymous, the late Bill Wilson. My verdict? My friend Harvey hit the nail on its head: Alcoholic Anonymous is a religious cult; a heresy of Christianity that substitutes belief in the gentle Jesus to the tyranny of the fascist G.O.D. -- Group Of Drunks. In case you wondered about Harvey's fate, he's doing quite well and is back with his wife. When we last talked about a week ago, I asked what program of recovery worked for him? Harvey went silent for a moment and took a big sip of Starbuck's coffee house brew, "Ronbo, all that happened was that old Harvey lost faith in old Harvey for a few years because he was a coward who couldn't face the realities in life all humans must face - marriage, family, friends, work - and decided to escape from life by jumping into a bottle and pulling the plug in with him. Well, I've escaped from that bottle, and thanks to nothing other than my own iron will to walk alone. Once I could stand on my own two feet like a man everthing came back to me." Thanks for the comment, Rolf - I will check out your book! Good article and thank you for posting and shedding light on this harmful cult!